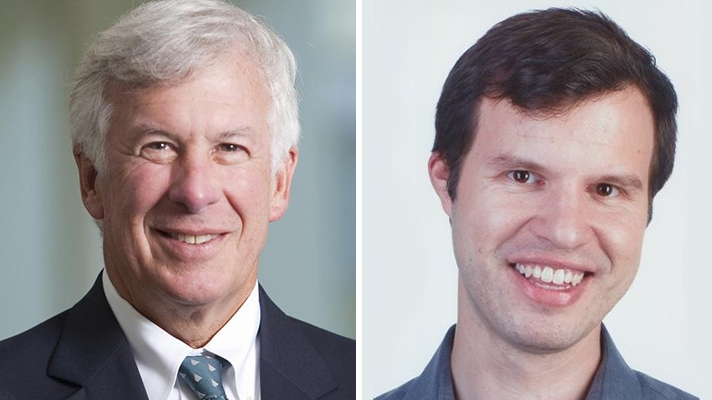 Microsoft added two prominent healthcare leaders to its healthcare team, Jim Weinstein and Josh Mandel, its Corporate Vice President Peter Lee announced on Tuesday. Weinstein was named vice president of Microsoft Healthcare as Head of Innovation and Health Equity. He most recently served as CEO and president of Dartmouth-Hitchcock and the Dartmouth-Hitchcock Health system. Mandel will take on the chief architect role and will lead the company’s open cloud architecture for Microsoft’s health ecosystem. He leaves Boston Children’s Hospital Computational Health Informatics Program, where he was research faculty member and lead architect for SMART Health IT. He was also a visiting scientist at the Harvard Medical School Department of Biomedical Informatics. Microsoft is juggling a number of projects in the digital health arena including Microsoft Genomics, Microsoft Azure Security and Compliance Blueprint. The tech giant is also expanding its Microsoft Intelligent Network and plans to create an AI-focused network in cardiology. “At Microsoft, we’re confident that many aspects of the IT foundations for healthcare will move from on-premise doctors’ offices and clinics to live in the cloud,” Lee wrote. Microsoft is not alone in vying for an opportunity to innovate the healthcare sector. Google, for instance is focused mostly on investments for DeepMind, its artificial intelligence technology. There is also Verily, the tech giant’s healthcare and disease research endeavor. Amazon is reportedly working on a project called 1492. The exploration involves EHR data, health apps and telemedicine. Of course, there is the power trio of Amazon, Berkshire Hathaway and JP Morgan, which just last week recruited surgeon, author and journalist Atul Gawande to lead their new healthcare company as CEO. The independent health care company aims to serve the employees of the group’s companies.